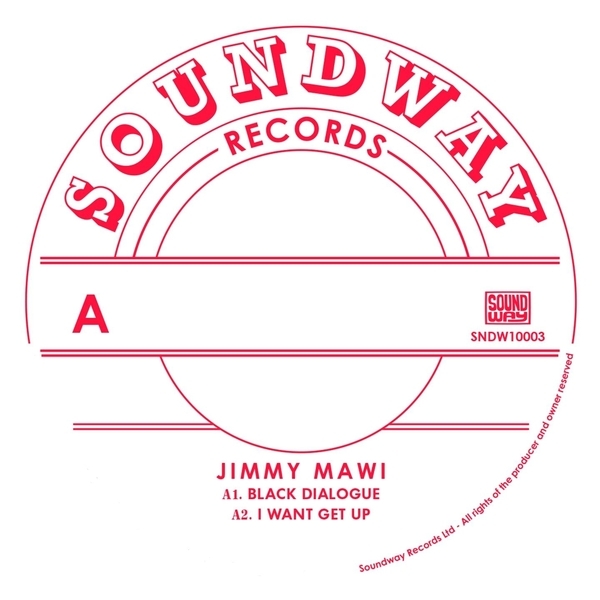 "Continuing further into the music of 1970s East Africa, Soundway present raw, bluesy garage-funk-rock from Jimmy Mawi. Jimmy Mawi was a Madagascan guitarist based in Nairobi in the mid 1970s. He cut only three 45s for EMI East Africa on their Pathe imprint that have virtually disappeared from sight in the nearly 40 years since they were recorded. Soundway reproduce four of the best tracks here on a super limited edition 10". Fuzz guitars, raspy vocals and metronomic drumming combine for an exhaustive afro-rock workout. Earlier this year Soundway released their compilation Kenya Special: Selected East African Recordings from the 1970s & ‘80s. Accompanied by a limited re-mix 12” these releases represent Soundway’s first releases from the East African country and follows from their much acclaimed African ‘Special’ series that to date has focused on the highlife and afrobeat output from 1970s Nigeria and Ghana."